Below are SLB award opportunities. The 2018 award system is now closed. Check back for 2019 applications in spring 2019. 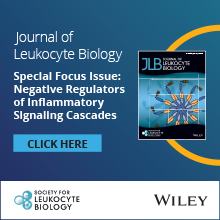 The Society for Leukocyte Biology (SLB) and their journal, JLB, support researchers at all career levels. 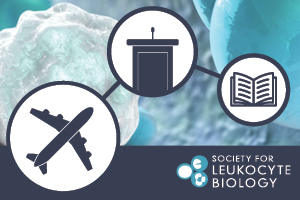 Learn more about the numerous awards and programs sponsored by the society and journal in supporting members’ traveling to conferences, presenting their work and publishing research. 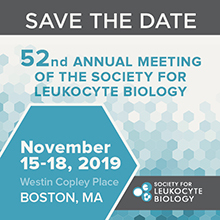 In addition to the numerous awards SLB offers in conjunction with the society's annual meeting, SLB and JLB also support guest symposiums at other meetings (see examples). SLB also presents Trainee Award certificates to random, unsuspecting trainees presenting at local and national meetings. These are awarded by our SLB Ambassadors to trainees presenting merit worthy research. Contact us to learn more. Note that Honorary Life Member and Legacy Awards are by nomination only and are decided upon by a Council vote based on Award Committee recommendations. All other categories are considered and reviewed by the Awards Committee based on applications received during the annual abstract submission process. Click on any of the links for more detailed information.